If you or a loved one has suffered an accident that involves a large truck, such as an 18-wheeler, a small truck, or a trailer; and you were injured, or a family member died due to the collision, know that you are not alone. 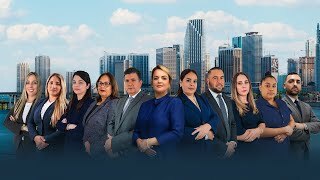 At Gallardo Law Firm, a truck accident attorney can advise you so that you receive compensation for the damages received and for there to be complete justice in your particular case. According to truck accident statistics, each year crashes involving large trucks kill about 5,000 people and about 115,000 people are injured as a result. As we all know, the difference in weight and size between a truck loaded with its full tank of gasoline and a passenger car can be the aggravating factor regarding damage in a crash. The crew of the smaller vehicle is more likely to suffer severe injuries and even death, although the impact has been relatively mild. On the other hand, while the truck would suffer light damages, the car could be a total loss. Do not waste any more time. If you have been the victim of an accident involving a truck, be it large, medium, small, or a trailer, contact a truck accident attorney Miami now and get all the advice, support and representation you need and deserve. What to Do After a Truck Accident in Miami? Some of the first steps to follow are the same as if you were involved in an auto accident. Check that all passengers are safe. If someone is injured, call 911. Then contact a truck accident attorney Miami. Do not attempt to move an injured person unless it is necessary to get him/her off the road and, so he/she does not obstruct traffic. Exchange information related to the insurance with the driver of the truck get the full name of the driver, the company he works for and the insurer that represents him. Never leave the scene as you can be accused of what is known as "hit and run." If you notice that the truck is escaping, try to take photos or compile a description as complete as possible. Also, find out if what happened was captured by a nearby security camera. When you talk with the driver, you must give all your information and keep calm at all times. Never apologize, since this can be taken as admitting to being guilty of what happened. Call the police and try to collect the contact information and reports of witnesses. They could offer valuable information when presenting your case. Also, if your physical condition allows it, take pictures of the state of your car, the conditions of the truck and the areas surrounding the accident. Keep accurate medical records of all your injuries. Be prepared to explain in detail how this has interfered with your quality of life after the crash and how it has hindered the full development of your work activities. If you need a truck accident attorney Miami, do not hesitate to call Gallardo Law Firm, and put your claim in with experienced attorneys! Commercial trucks are enormous in size and weight. A failure in the brakes of a vehicle like this means a great danger for everyone on the road since it can take ahead everything in its path with great force. It can be fatal for pedestrians, cars, and even other traction vehicles. In an accident due to brake failure or some other equipment defect, the truck company or the truck manufacturer can be sued as liable. The tire blowouts carry a particular danger because the truck loses control and can get out of its lane traveling uncontrollably from one end of the road to the other. This type of accident can also cause some large pieces of the truck or fragments of tires to fall off and cross at high speed towards traffic coming in the opposite direction. Jackknife is when a large 18 wheel truck and its trailer go into a skid, and the trailer swings out and stops to form an angle of 90 degrees with each other. Usually, jackknife accidents happen when a truck's drive wheels lock as the truck approaches a slick spot. The trailer starts to roll forward; the driver then loses control and causes the trailer to swing out to one side. It can be very dangerous for the drivers of the vehicles, as well as other drivers and pedestrians nearby. With the speed at which this large truck has, even folded in half, can be overwhelming and fatal to other vehicles and pedestrians nearby. Rear-end accidents occur when the driver of the truck does not have enough time to perform a braking maneuver and impacts the rear of the car that is in front of him on the track. For this reason, drivers must keep the proper distance and use the turn signals correctly. When a truck stops quickly, smaller vehicles rapidly approaching behind it can become lodged under the truck’s trailer. As a result, these under ride accidents are some of the deadliest trucking accidents recorded. To avoid these types of accidents, drivers must always keep a safe distance between them and the trucks in front and be alert to any warning that they are braking or are going to perform some other maneuver. Head on collisions between trucks and other vehicles can occur due to mechanical failures or driver negligence. In most cases where a commercial truck collides head-on with any other car, those in the smallest car will likely suffer the most severe injuries. If a truck driver cannot control the steering wheel and gets out of its lane, entering the one that has traffic in the opposite direction, it will be those who come from the front that will suffer the worst consequences. These accidents occur when a truck leaves the road and turns sideways, often sliding for a considerable distance. These turns are extremely dangerous for vehicles and passengers in their path due to the massive size and weight of commercial trucks. The so-called blind spot is the area on the side or behind a car that the driver cannot see from any of its mirrors. In commercial trucks, these areas may be more significant to the size of the vehicle. Most of these accidents occur when the driver of the truck decides to make a maneuver such as changing lanes or braking and does not know the other person is driving inside that danger zone. It is recommended that drivers stay at a safe distance from the back and side of commercial trucks to avoid these accidents. A good rule to remember is that "if you cannot easily see the mirrors of a truck, then the driver of that truck cannot see you." When passing a truck, always do it on your left side, and leave enough space before returning to your lane. Drivers are pressured with unrealistic dates to deliver or pick up their loads. Drivers are inexperienced or have not received the training required to handle large trucks before hitting the road. Loads are incorrectly located or poorly tied. They drive without having enough rest or for longer than what is considered safe. They operate the truck under the influence of alcohol, medications (prescription or over-the-counter) or some drug. Changes lanes dangerously and without checking that there are no vehicles in its blind spots. Poor decision making on braking maneuvers. If you put your case in the right hands, you can devote entirely to your recovery after such a traumatic experience as being impacted by an eighteen wheeler. By using the correct methodology and the most current investigative procedures, our lawyers analyze the evidence, question the witnesses and subject the truck involved in a thorough inspection. With the necessary aggressiveness and clarity, our truck accident attorneys will be able to bring to light the causes of their mishap. Attorneys know the laws of Florida and also understand the provisions and rules for the transportation of cargo in the United States. To prove blame or responsibility of one or both parties, our truck accident attorneys in Miami will do a similar study. In general, a thorough comparison is made of the obligations of all those involved to determine their contribution to the accident. Each one, according to the mistakes made, is given a percentage of the fault. Once liability is verified, this percentage is deducted from the compensation for damages that could be claimed when the case is defined, and an agreement is reached. It is essential to select the right lawyer in this research phase because the applications od percentages is a point that transport companies and insurers always want to control. If the Miami truck accident lawyer you hire is capable enough, even the manufacturer of the automotive equipment could be sued if one of the causes is proven to be a manufacturing, assembly fault or defect. This could result in the existence of several compensation channels available to compensate for your damages if you are an innocent victim. Cases of truck accidents in Miami can be complicated, regardless of who is found guilty of a collision; however, they tend to be of more value than frequent car accidents. You should only seek the most experienced truck accident lawyer trained on the subject that will guarantee you full compensation. You may have the right to have the damage to your car entirely or partially repaired. If you have been in need of medical assistance or rehabilitation, all those bills could be canceled by the insurer of the driver who made a mistake as well as by the carrier or the manufacturer of the vehicle causing the damage. If you were required to travel more than twenty miles for medical treatment, you might qualify for what is known as a "Mileage Reimbursement." You can also be entitled to have the lost wages returned because you are unable to go to work. You may also qualify for compensation for life if you failed to perform the specific tasks required by your position as a result of the aftermath of the accident. The emotional damages suffered have a place also in the restitution. All if you have the prudence to put your case in the hands of the most competent and qualified truck accident attorneys in Miami. Contact A Gallardo Law Firm Truck Accident Attorney Today. Our Miami truck accident attorneys understand how painful it can be for victims of a massive truck collision. They also know how damaging it can be for you to face the total ruin of your truck or, worse, be seriously injured or lose a family member in such a traumatic event for all parties involved. For this reason, they address the commitment to solve their case with total empathy and compassion. You can put your legal circumstances in our hands while recovering physically and emotionally. Contact a truck accident attorney Miami today and shorten the distance between your pain and the compensation you are entitled to receive. There is the talk of the risks of getting involved in an accident with a commercial truck. What exactly is a "commercial truck"? A commercial truck or "big truck" is a vehicle that is exploited for the transport of industrial goods (cement, construction materials, parts or heavy machinery, chemical substances, etc) Some are eighteen-wheeled truck trailers, tankers, delivery, and cargo vehicles. Commercial trucks are much larger than the vans that companies use for their daily activities, have a specific purpose and require a commercial driver's license to operate. Why are truck accident injuries more significant than those vehicles only carrying passengers? Because differences in size and weight make, cars are logically more vulnerable at the time of a collision. The limits associated with acceleration, braking, fast maneuvering possibilities and visibility. I was injured in a truck accident in which the other driver was at fault. Can I receive my wages for the time I was unable to work? Yes. Your recovery in a personal injury action may include the payment of lost income for this cause, plus compensation for any loss of any earnings due to you resulting because of the accident. If I have been partially guilty of the truck accident, can I win the lawsuit? It depends on the degree of your fault. There is a legislative doctrine known as "Comparative Negligence" which assesses the responsibility of all those involved and determines percentages of failure to adjust the damages that must be paid. If your carelessness was 50 or 51%, depending on the state, you do not recover anything.